While we sell and service emergency power solutions for a wide range of institutions and events, there is one very important thing that could slip the mind of the average generator renter or buyer. We’re talking about local sound ordinances. Depending on where you are, there could be large differences in what noise levels a township or municipality is willing to accept. There are even differences in what decibel levels are allowed during the daytime or the nighttime. This is where sound attenuation enclosures come in. When you use a generator, you just want it to work, you don’t necessarily want to hear it as it plugs away and does the job it’s meant to do. Building costs have risen, so that means less building space is being dedicated to housing equipment generators. This is leading to a rise in the popularity of outdoor sound attenuated enclosures. There are two kinds of these enclosures: the first is known as a skin tight enclosure and the second is called a walk in enclosure. Skin tight enclosures have an advantage in situations where you would want your enclosure to take up less space. Most of the time these are much smaller than the walk in enclosures and they have a smaller footprint. The drawback is that, in many cases, they are not quite as quiet as the walk in enclosures and they don’t leave much room to work in. The walk in enclosures, being more spacious, are generally easier to maintain and can have features like lights and distribution panels. A benefit that both enclosure types share is that they can be painted to match the aesthetics of nearly any kind of building or property. It’s also important to note that these enclosures can be constructed from a wide range of materials, including coated steel and mill-prepainted aluminum, and all of these materials come with their own advantages and disadvantages. 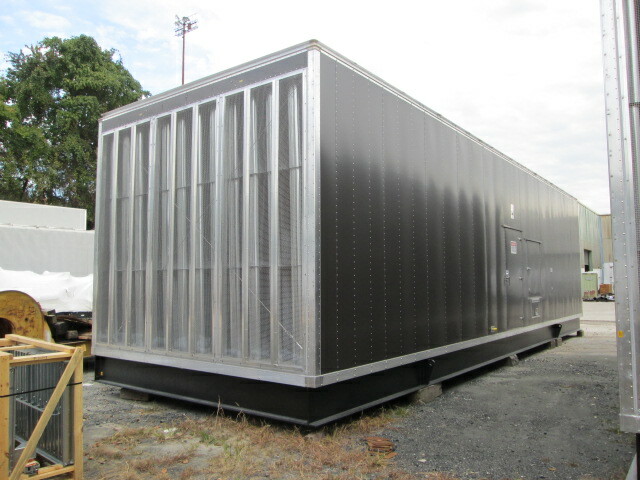 This is why, in addition to local noise ordinances, geographical factors and visibility of the facility also play a big part in how you choose to buy an enclosure. So remember, local noise ordinances are an important thing to keep in mind when using generators and emergency power solutions. 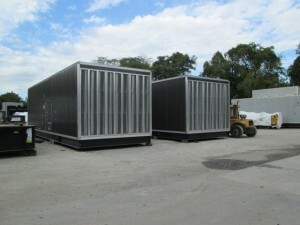 Your generator is doing the heavy lifting, and sound attenuation enclosures can make sure it’s neither seen nor heard. This entry was posted in Emergency Power, Generators, Sound Attenuation Enclosures and tagged emergency power generators, emergency power solutions, generators and noise levels, skin tight enclosures for generators, Sound Attenuation Enclosures, Sound Attenuation Enclosures for generators, walk in enclosures for generators. Bookmark the permalink.